That L.A. River water isn’t pristine isn’t exactly news. But Heal the Bay’s report this week, with measurements from last summer showing high bacteria content in the river, caused a stir. So what’s going on? We’d like to provide another perspective to better complete the picture and focus the discussion. 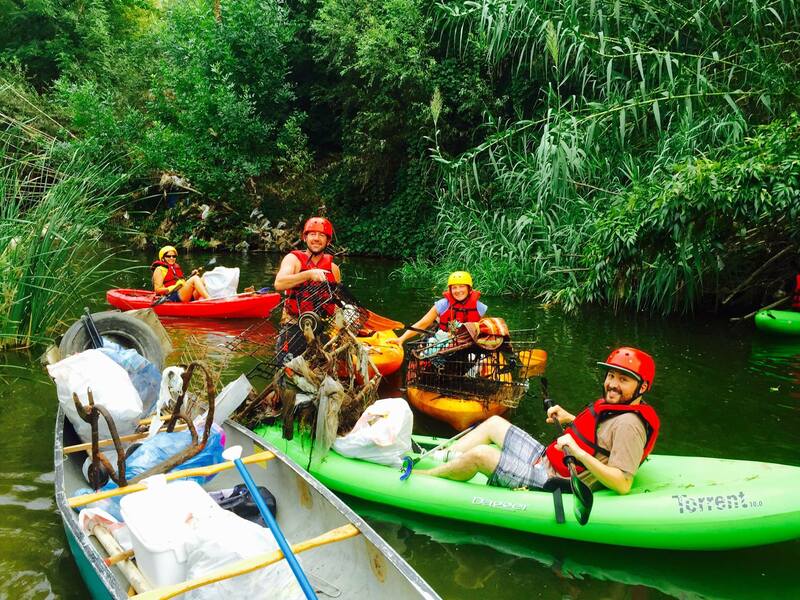 With river-connected activities like kayaking, fishing, biking and horseback riding increasing since the EPA’s 2010 determination that the entire L.A. River is to be protected under the Clean Water Act, people have figuratively, and sometimes literally, jumped in. The State Water Resources Control Board and the City of Los Angeles have noted that the river’s water quality was acceptable for activities like kayaking but stopped shy of recommending activities like swimming. Opening up public access didn’t immediately get us to the point that FoLAR’s Lewis MacAdams had hoped for as a milestone goal for the river: “…a swimmable river.” That’s OK. Since 2010, we’ve taken some large steps forward. Since 2008 we estimate that we’ve put more than 5,000 Angelenos on the river in our kayaking programs, and there hasn’t been a single reported case that indicated the types of health risks mentioned in the report. Heal the Bay has made it clear that they do not want to impede the river revitalization process. They emphasized that the report (available here) should not stop anyone from river recreation—only that people should have proper warnings and use common-sense safety procedures. Unfortunately, following the report there was a great deal of misunderstanding in the general public. Angelenos are accustomed to swimming at Santa Monica Beach or Mother’s Beach in the marina, which regularly get very poor water quality ratings from Heal the Bay due to high bacteria content. The conditions are worse after rain because of urban runoff. We’re all somehow okay with that, as bathers or surfers may get an ear infection or some other ailment, but then surprised when those same problems show up in our hometown river. We face a systemic water pollution problem in Los Angeles. The City’s official response to Heal the Bay’s report at a recent workshop about river water quality, states that “the findings agree with our most recent water quality results” and that “partners agreed on the need to focus more testing on the River’s recreational zones.” No. Please! Further testing and studies will not only waste valuable resources but will not show anything substantially new. It’s a distraction from the task of doing something about the source of the pollution. What’s gotten lost in the hubbub is that the focus needs to be on methodically improving water quality rather than providing further difficulties for the recreational users and outfitters who are out there on the front lines, cleaning the river regularly (e.g., our Kayaking Cleanup Brigade) and educating the public about how to join the growing ranks of the environmental stewards. Too many people have suggested that recreational activities may be a problem rather than a pathway to improving the river on a more fundamental level. Let’s get to the real problem and make it safer for everyone. As it is, the report may set back the river revitalization movement in terms of hard-fought years of efforts to change hearts and minds about using the river in positive recreational and educational ways. Prior to that, the approach was to cordon off the river and not engage with it. At this point, let’s stay cautious, but not go backwards. The report notes that riverside cities and entities that discharge into the river are required by law to comply with deadlines to clean up their acts by 2037. Seriously?! Two decades from now? Sure, there are some shorter-term enhanced goals, too. But the only study someone should do is on what the holdup is and what can be done constructively today to make water quality better much faster. Ferret out the greatest sources of pollution along the river and start attacking those in a concerted, strategic way. If you’re a watchdog, then sharpen your teeth, keep watch and don’t bark up the wrong tree. Keep in mind that boating has been one of the most visible signs of progress toward the river’s revitalization. And it was LA River Expeditions’ trip down the 51 miles of the river back in 2008 that gave the EPA the legal muscle to finally make the decision they ultimately made: that the whole river should be protected under the Clean Water Act. Kayakers are part of the solution. So please, don’t hesitate to get out there on the river in whatever way you choose—but yes, of course use common sense and a healthy dose of precaution when it comes to the water itself. An abbreviated version of this article was published by the Eastsider on August 5, 2016. You are currently reading Getting to the Source: Water Quality on the L.A. River at L.A. Creek Freak.